This is where I will put recipes, trials & errors, successes (and any failures) for our homemade wines. This will primarily be a space for me to refer back to when starting a new batch. 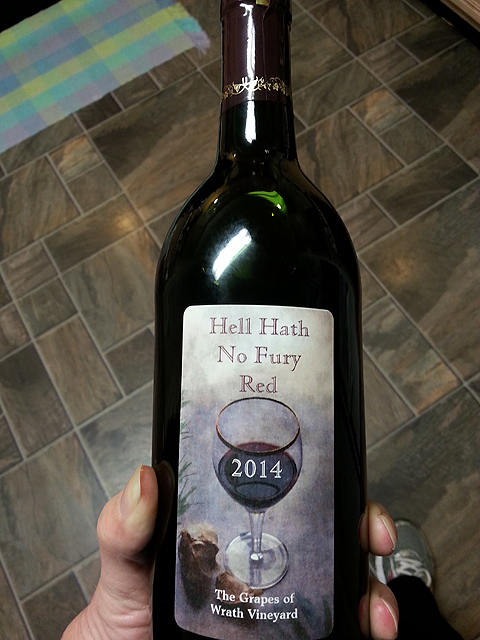 As of today, January 7, 2015, we have bottled our first four and a half gallon batch of Hell Hath No Fury Red (it was supposed to be five gallons, but newbie spillage and tasting), started our second batch of Hell Hath No Fury Red (before the new year so we can use the remaining labels from the first batch, lol), and just the other day started a batch of mead (honey wine). My father in law makes a lot of wine–it used to be we indulged him by drinking it, but now we ask for more.